Good management of water resources - universally identified as a key aspect of poverty reduction, agriculture and food security - has proven, in practice, as difficult to achieve as it is eagerly sought. 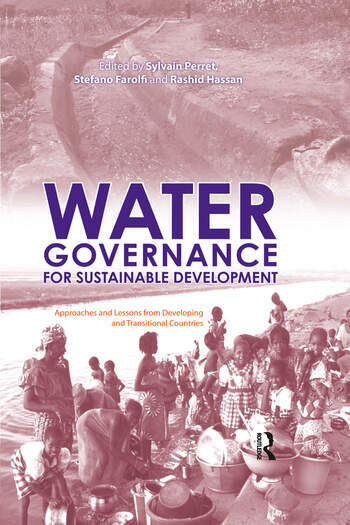 This book, edited and authored by leading authorities on water resource management, examines the recent changes in governance, institutions, economics and policies of water, covering developing, transitional and developed countries, with special emphasis on southern African case studies. The book examines how water policies, institutions and governance have shifted in recent years from supply-driven, quantitative, centrally controlled management to more demand-sensitive, decentralized, participatory approaches. Such a move often also implies cost recovery principles, resource allocation among competing sectors, and privatization. The case studies demonstrate that the new policies and legal frameworks have been difficult to implement and often fall short of initial expectations. Using an accessible multidisciplinary approach that integrates economics, sociology, geography and policy analysis, the book untangles the issues and presents best practices for policy- and decision-makers, governments and regulators, NGOs and user groups, service providers, and researchers. The overall aim is to show how good water governance structures can be developed and implemented for the benefit of all. SYLVAIN PERRET is Visiting Associate Professor in the Department of Agricultural Economics, Extension and Rural Development, University of Pretoria, South Africa, and Senior Researcher at Cirad in France. STEFANO FAROLFI is Visiting Senior Lecturer in the Centre for Environmental Economics and Policy for Africa, University of Pretoria, and Senior Researcher at Cirad. RASHID HASSAN is Professor in the Centre for Environmental Economics and Policy for Africa, University of Pretoria.